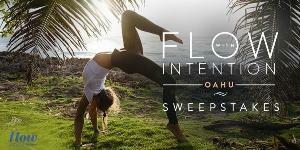 Prize: Our grand prize winner will receive a trip for 2 to Wanderlust O’ahu, Hawaii 2019, including festival tickets and a $1,500 travel stipend, plus a year’s subscription of Flow alkaline spring water. Statistics: This contest was opened by 147 and entered by 33 ContestChest.com members. 22% of those who opened the contest, entered it.